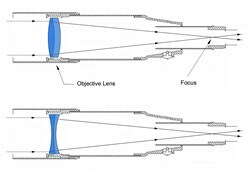 Apparently, the Sorbonne University has confirmed the detection of antimatter galaxies via a Santilli telescope with concave lenses. Antimatter is material composed of antiparticles that have the same mass as regular particles but have an opposite charge. If an antimatter particle and a matter particle meet, they are both destroyed. So the question has been, how do you detect antimatter? It turns out that antiparticles are created everywhere in the universe where high-energy particle collisions take place. So they can be reproduced in colliders. And it seems that there is a giant cloud of antimatter surrounding the center of our own galaxy. In 2009, NASA sent the Alpha Magnetic Spectrometer (AMS) cosmic ray detector to the ISS to look for antimatter galaxies (among other things). The experiments are still continuing and the search continues. So the new concave telescope design that was apparently used to find these antimatter galaxies uses new principles and math that I am not ashamed to say I don’t understand. However, having said that I would like confirmation from other scientists that do understand the math before I sign on to this as a fact. If it holds, then I need to buy another telescope to help hunt for antimatter! Posted in Play and No Work. Tagged AMS, antimatter, NASA. Can you believe that the Hubble Space Telescope was launched 24 years ago! It seems like yesterday that we knew everything about the universe…and then Hubble rewrote (and continues to rewrite) our understanding of the universe. The Hubble Ultra Deep Field and others showed us that what we thought was empty space, was actually quite busy. Everything in that image above is another galaxy. 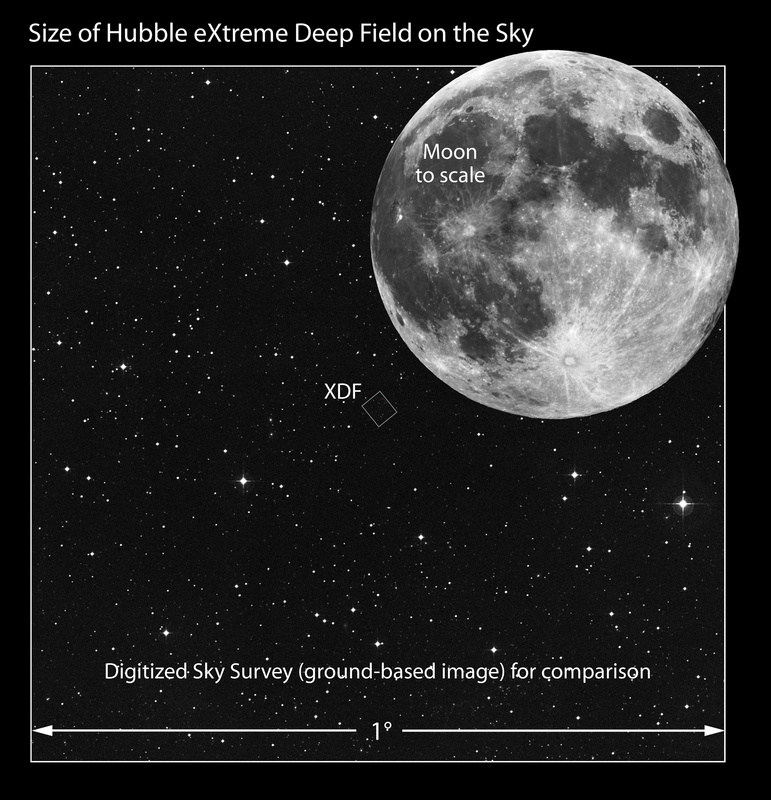 Considering the size of the field of view (shown above) of the Hubble for those deep field views, there is an amazing amount of places in the universe to explore. 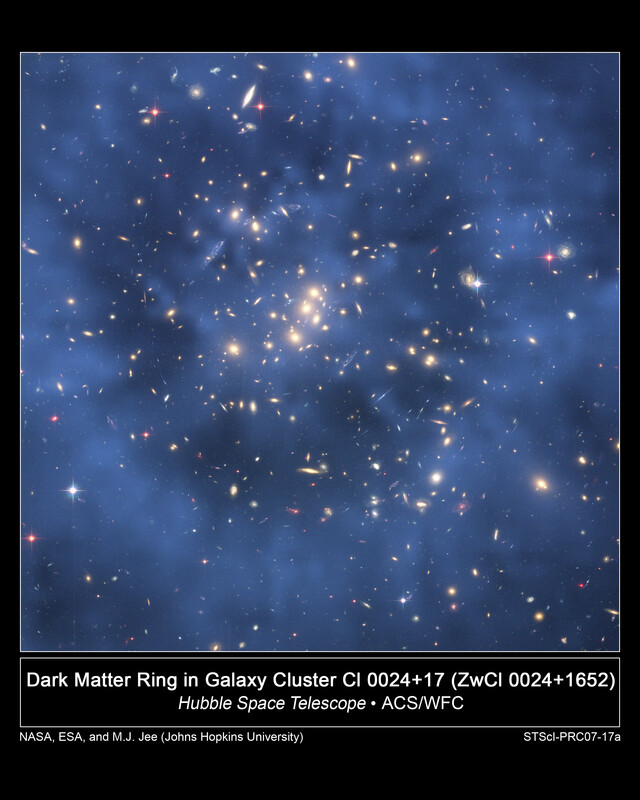 Using the Hubble, astronomers where able to find dark matter and fill in about 5% of the matter that is missing from the universe. So how much longer can Hubble last? 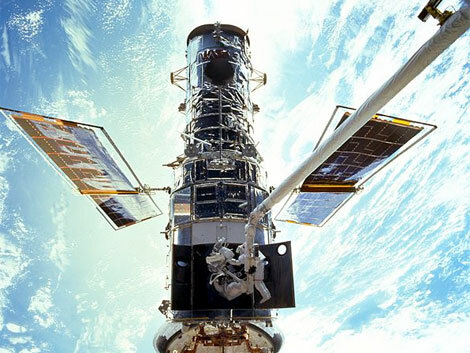 There are no more service missions scheduled for the Hubble and the last mission was in 2009. Eventually, the giant space telescope will run out of gas. It’s last command will be to crash down into the Pacific Ocean in a fiery death. That will be a sad day. But the data and pioneering efforts of the world’s first space-based optical telescope will be around for years to come. In honor of the 24th anniversary of the Hubble, NASA announced that it will release an infrared image of a nearby star factor known as the Monkey Head Nebula (or known as NGC 2174 and Sharpless Sh2-252). Posted in Play and No Work. Tagged hubble, Hubble Space Telescope, NASA. Its Not Real…Really Its Not. Planet-X, Niburu, whatever your local conspiracy theorist wants to call it, does not exist. After decades of astronomical observations and data, there is NO trace of a 12th planet (yes, counting Pluto). The believer’s in Niburu believe that this rouge planet will come smashing through the solar system sometime in the 21st century to destroy the Earth. These believers also think the the asteroid belt was made from one on Niburu’s moons destroying a planet between Mars and Jupiter. Scientifically, we know that this isn’t the case, the gravitational tug between Jupiter and the rest of the inner solar system (including the Sun) would prevent any planet from forming in this region. 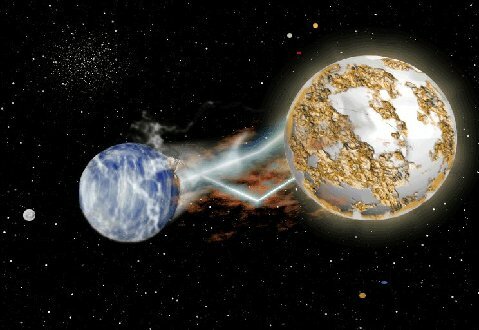 Please don’t confuse Niburu/Planet X with the other crackpot ideas like: Hercolubus, Nemesis, Comet Elenin, Tyche, Sedna or Eris or any of the other bizarre doomsday scenarios that these charlatan’s devise. Any and all of these types of bodies would have already destroyed all life on Earth. Also, the disruptions to the solar system would still be evident. Asteroids flying all out of orbit, planets careening about. None of this has happened or will happen. NASA announced last week that the data from the WISE mission study shows that Niburu will never be found, because it doesn’t exist. Please stop the madness. Posted in Play and No Work. Tagged Comet Elenin, Hercolubus, NASA, Nemesis, Niburu, Planet X, Sedna or Eris, Tyche, WISE. How the Crisis in the Ukraine Affects Space Science. I normally do get involved with politics, but this is a special case. Without a reasonable resolution to the situation in the Ukraine, space could be adversely affected. If the trouble between Russia and the rest of the world doesn’t work itself out soon, there could be dire consequences for the International Space Station. Without a viable transport to the ISS, we and the other nations that have an interest in the space station rely on Russia to get personnel back and forth. Although there are alternative supply transports, the only way that scientists and other crew member, Russia is currently the only human space taxi available. 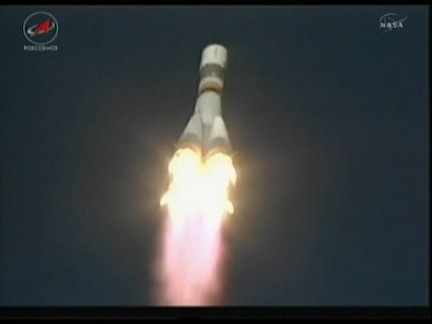 Without the Soyuz spacecraft, the ISS is effectively dead. Although the crisis in the Ukraine has had its dramatic moment, I believe (and hope) that it stabilizes quickly. However, this should give all the other ISS member countries pause to think about alternative transportation to and from the station. Posted in Play and No Work. Tagged International Space Station, iss, NASA, Russia, soyuz, Ukraine. Last night was the biggest night for movies and actors. So today I am giving the award for best planet hunter to…..Kepler! Kepler is like the gift that keeps on giving. The Kepler team analyzing the data captured by the now disabled spacecraft have found another 715 exo-planets. That is almost as many planets that have been identified in the past decade! Kepler had previously identified 246 planets. Over the past 20 years, Kepler is responsible for more than 1/2 of all exo-planets found. I know that Kepler cannot be fixed, but for the $600M price-tag, and the continued discoveries, I think we should consider putting another Kepler up. This time point it at a different part of the sky, with a wider field and a better camera. Considering the $8Billion dollar price tag of the James Webb space telescope, Kepler was a bargain. Don’t get me wrong, I do want to see the results from the Webb telescope, but that is years away (if ever). 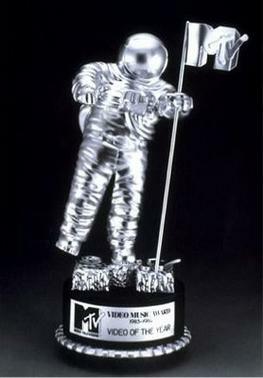 Although last night was the Academy Awards, I think the trophy for the MTV music awards is more appropriate for Kepler’s big win. Posted in Play and No Work. Tagged James Webb Space telescope, Kepler, NASA, space, space telescope. How To Train For Space..Or Not. If you ever wondered about how astronauts train, you can find out first hand for about $45k. A new company called Waypoint 2 Space is offering you the chance to spend your money and learn how its done. However, you might want to note that NASA doesn’t take course graduates. As a matter of fact, no one does. So what exactly do you get? According to Kevin Heath their CEO and their website they have programs in space flight training and payload specialist. Neither of which will get you a ride on any NASA mission. As a matter of fact they have no agreements with NASA at all. You may read their website and be led to believe that there is some sort of relationship, however, upon close examination, you would be wrong. To me, in my personal opinion, parts of the site seem to be a little deceptive. Rest assured that the ONLY way you can become and astronaut for NASA is by attending (or being selected to attend) Astronaut Candidate Training program. As for Waypoint 2 Space, if you have the money to spend on this, I would suggest booking a flight on Virgin Galactic or one of the other companies that will actually get you close to space. Thanks to Keith Cowing from NASA Watch for alerting everyone about this and his continued follow ups. Posted in Play and No Work. Tagged Keith Cowing, NASA, waypoint2space. 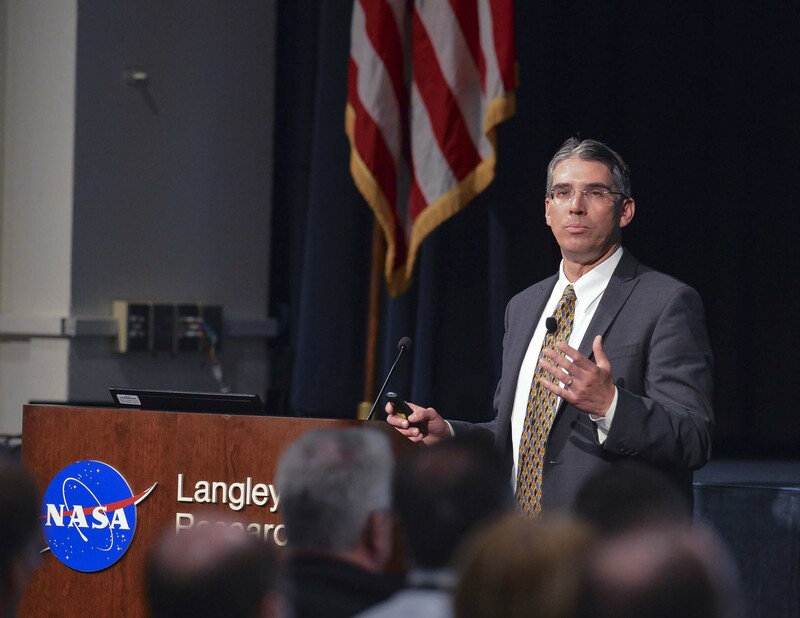 National Space Club Honors Kepler’s Planet Hunters. Developed jointly by NASA’s Jet Propulsion Laboratory (JPL) in Pasadena, Calif., and NASA’s Ames Research Center in Moffett Field, Calif., Kepler was launched in 2009. It is the first NASA mission to find Earth-size planets in or near the habitable zone, the region in a planetary system where liquid water can exist on the surface of an orbiting planet. 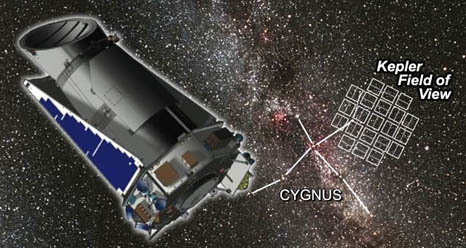 Ames is responsible for the Kepler mission concept, ground system development, mission operations and science data analysis. JPL managed Kepler mission development. Ball Aerospace & Technologies Corp. in Boulder, Colo., developed the Kepler flight system and supports mission operations with the Laboratory for Atmospheric and Space Physics at the University of Colorado in Boulder. The Space Telescope Science Institute in Baltimore archives, hosts and distributes Kepler science data. 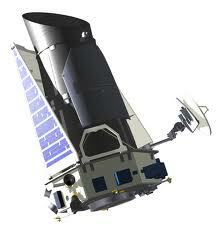 Kepler is NASA’s 10th Discovery mission and was funded by the agency’s Science Mission Directorate. Posted in Play and No Work. Tagged Kepler, NASA, National Space Club, Robert H. Goddard Memorial Trophy. Looking Up For A Change. High-altitude scientific balloons have been used for years by scientists for a variety of studies including hauling telescopes to near space for observations. However, planetary scientists haven’t been able to use them. That’s because they needed a highly stable system to accurately point their instruments and track planetary targets as they move. Now NASA’s Wallops Flight Facility in Wallops Island, Va., has designed a new pointing system — the Wallops Arc Second Pointer (WASP) — that can point balloon-borne scientific instruments at targets with sub arc-second accuracy and stability. A full scale test is scheduled later this year. WASP is designed to be a highly flexible, standardized system capable of supporting many science payloads and frees scientists from having to develop their own pointing systems. Now, they can focus on creating the instruments. Posted in Play and No Work. Tagged astronomy, High-altitude scientific balloons, NASA, science, Wallops Flight Facility. It comes as no surprise that commercial space programs are expanding at an ever increasing pace. Now the government and NASA are putting unused space program assets to use helping these enterprises along. 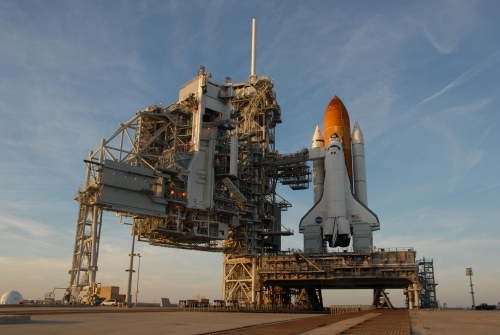 NASA will turn over one of its unused space-shuttle launch pads to Space Exploration Technologies (SpaceX) so that they can set up a second site in Florida. SpaceX current sends routine re-supply missions to the ISS using its Dragon spacecraft. SpaceX won out over protests from rival space company Blue Origin, founded by Amazon’s Jeff Bezos. 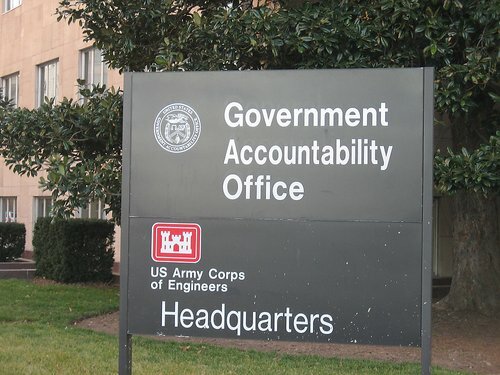 The Government Accountability Office dismissed Blue Origin’s protest. However, the GAO said NASA could consider renting the launch pad under exclusive or multi-use arrangements for the launch pad. NASA spends around $100,000 a month to maintain the site, so this agreement will help both NASA and SpaceX. 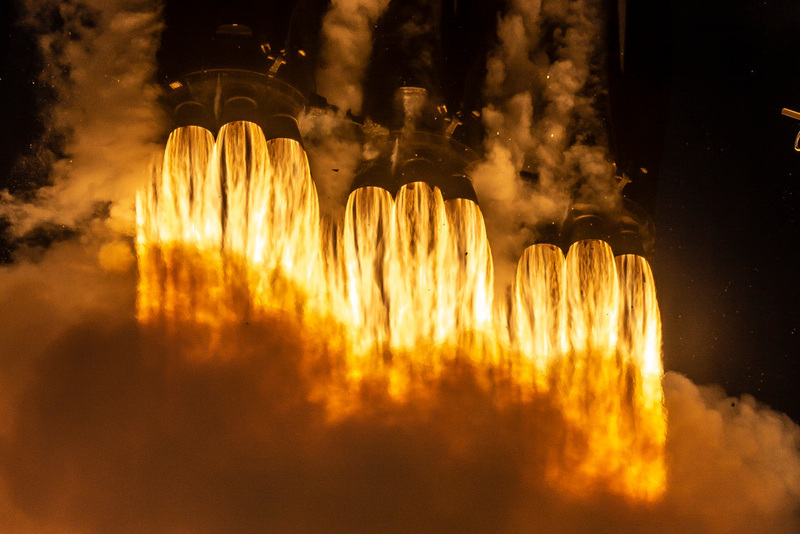 SpaceX is already launching its Falcon rockets from a leased launch pad at Cape Canaveral and it has a launch pad at Vandenberg Air Force Base in California. SpaceX’s locations are a little different from other commercial space enterprises that are basing their operations out of the New Mexico spaceport. Posted in Play and No Work. Tagged commercial space programs, NASA, science, space, space commercialization, spacecraft.